Mention the Grateful Dead to a group of friends and it is doubtful that you will receive many ambivalent responses. As with liver and onions, there is no middle ground â€” someone either loves the Dead or does not. Fans, affectionately known as â€œDeadheadsâ€�, can recite infinite amounts of minutiae regarding the band, while non-fans might struggle to name a single song. 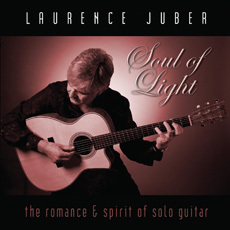 Some might question the decision to use the music of the Dead as the vehicle for a solo acoustic guitar CD; covering 15 Dead â€œclassicsâ€� with no vocals and just a solitary 615ce is an ambitious undertaking with inherent risk. But on Grateful Guitar, the idea bears fruit. One of the most common sights at a Grateful Dead concert was what Deadheads called â€œThe Parking Lotâ€� â€” a large gathering of people sitting or walking around with their acoustic guitars, playing their favorite Dead songs. David Cullen has fashioned Grateful Guitar in that straightforward spirit â€” if you can imagine one of those strolling minstrels being an accomplished player. Cullen tackles the Dead â€œclassicsâ€� head-on, reducing the music to its purest elements by using his 615ce to morph the songs back into the folk forms from which they sprang. â€œSugar Magnoliaâ€� blossoms into an entrancing rendition, with intricate overtones seeping through every note. Such well-worn songs as â€œFriend of the Devilâ€�, â€œCasey Jonesâ€�, and â€œShakedown Streetâ€� are covered with precision, fervor, and aplomb. As a reward to serious fans, Cullen fastens some of the rarer and less-performed Dead songs to the end of the CD. Deadheads will particularly enjoy the inclusion of â€œThey Love Each Otherâ€�, â€œRueben and Cheriseâ€�, and â€œIf I Had the World to Giveâ€�. But the great thing about Grateful Guitar is that you donâ€™t have to be a Deadhead, or even know who the Dead were, to enjoy the music. 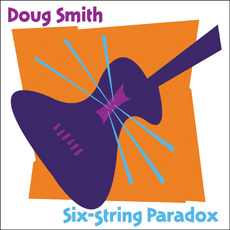 Those who revel in the deceptive simplicity of skilled acoustic guitar playing will appreciate the CD, while those who might be curious about the Dead but require a â€œsafeâ€� portal into the bandâ€™s oeuvre will be well served. Stripped to their fundamentals, and without the â€œtribalâ€� trappings and the self-conscious â€œheaviosityâ€� (apologies to Woody Allen) slathered onto them by ardent fans, the bandâ€™s more familiar tunes can be judged on their own merits. In that regard, â€œI Know You Riderâ€� is a revelation. Cullenâ€™s performance captures nuances that are lost in the multi-instrumental layering of the recording(s) and concert performances. Cullenâ€™s deft, delicate touch, and the resulting soft decay wring heart-rending expression from his 615ce, allowing the listenerâ€™s imagination to capture and explore the expressive mood of â€œRiderâ€�. 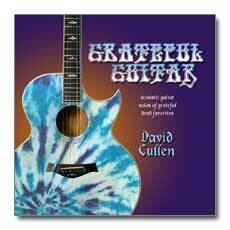 On â€œRippleâ€�, Cullenâ€™s guitar prowess continues to shine. With subtle clarity, he weaves a comforting tapestry that conjures images of a peaceful summer in the country. The next track, â€œGoing Down the Road Feeling Badâ€� is a welcome change of pace â€” an up-tempo arrangement that allows Cullenâ€™s guitar chops to run loose. Appropriately, the final song on the CD is â€œBid You Good Nightâ€�, which the Dead would play as the last song after a particularly good performance. It is a fitting choice to close this honorable tribute. Nearly ten years ago, the death of Jerry Garcia marked the end of the long, strange trip known as the Grateful Dead. David Cullen figures enough time has passed to properly evaluate the band's contribution to American music. Though they were noted for psychedelic overtures and percussive space jams, it could be argued that the Dead were a "guitar player's" band. This San Francisco born guitarist proves that plausible theory on this brilliant collection of solo acoustic renderings of the Dead's classic cannon. For fans of "Working Man's Dead", "American Beauty", "Reckoning", and "Dead Set", Cullen's "Grateful Guitar" is a perfection companion. Tribute albums which tread on sacred ground are almost always a dangerous endeavor. Cullen ably confronts the daunting task of re-working songs etched in stone in the same easygoing manner as did his mentors with two important distinctions: he never drifts from the original structure of each composition, and his improvisations stay true to the song's primal melodic appeal. For "Uncle John's Band" Cullen employs a myriad of arpeggios and two and three note groupings to gradually reveal the motif in the verses. The pedal tone on open D for "I Know You Rider" builds just enough anticipation until the familiar melody kicks in. The disco-Dead get their rootsy props on "Shakedown Street" as Cullen often quotes Phil Lesh's descending bass line and adds a few more 7 chords into the mix than did Garcia and Weir, who were then under the tutelage a very funky, and commercial hit conscious Lowell George. Cullen emphasizes the jazzy, shuffle feel of Garcia's solo gem "Sugaree" with detailed finger-picking and soulful chord intervals. The most famous acoustic guitar intro of all time, "Friend of the Devil" stays put, though Cullen's up-tempo rendition affords the verses a vigorous shot-in-the-arm which was not something the Dead often accomplished, if ever. 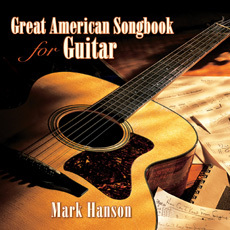 You'll be amazed at the breadth of the Greteful Dead's contribution to acoustic music from this disc, and this album will also serve as an inspiration and lesson to guitar players to explore the classics in the same manner as Cullen.